Arjun Kapoor and Malaika Arora have been busy painting the town red and lately, are not shying away from making public apperances together, be it fashion shows or B-town parties. Although the two have not officially confirmed their relationship, they certainly have managed to keep the grapevine abuzz. In fact, Arjun had reportedly joined Malaika during her recent Maldives vacation as well. 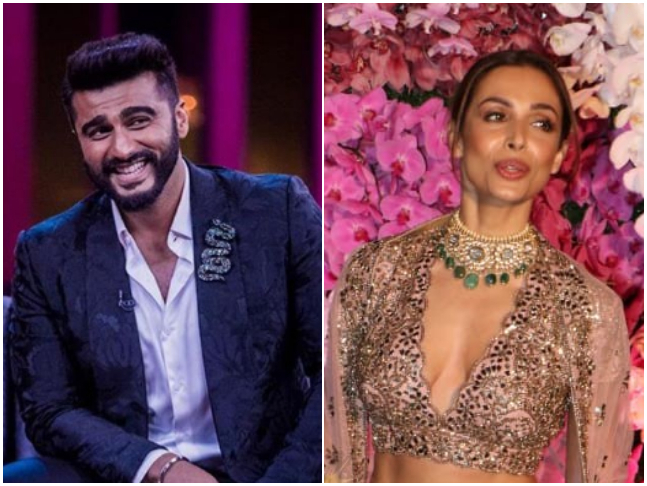 RECOMMENDED READ: Malaika Arora and Arjun Kapoor all set to tie the knot in a Christian ceremony on April 19? Meanwhile, this is not the first time that Malaika has quashed reports of her wedding with Arjun. Earlier too, she had called them 'media-made'. On the other hand, Arjun's father Boney Kapoor had refuted the rumours about his son’s wedding as well. Now only time will tell if Malaika and Arjun indeed walk down the aisle together on not. Deepika Padukone wraps up the Delhi shooting schedule of her film ‘Chhapaak’, director Meghna Gulzar terms it ‘happily half way done’! Bharat trailer: 5 key takeaways from Salman Khan and Katrina Kaif starrer which screams blockbuster!